Nokia Software Updater beta got a minor update. The latest release (version 3.0.156) now includes automatic device SW checker, improved download time estimation, improved download reliability, support for widget type application updates (N8), and minor UI changes. 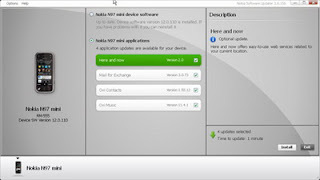 0 comments on "Nokia Software Updater beta updated (minor)"